Don't leave your PS4??? controllers lying around carelessly! The compact KMD??? Dual Charge Dock for PS?? 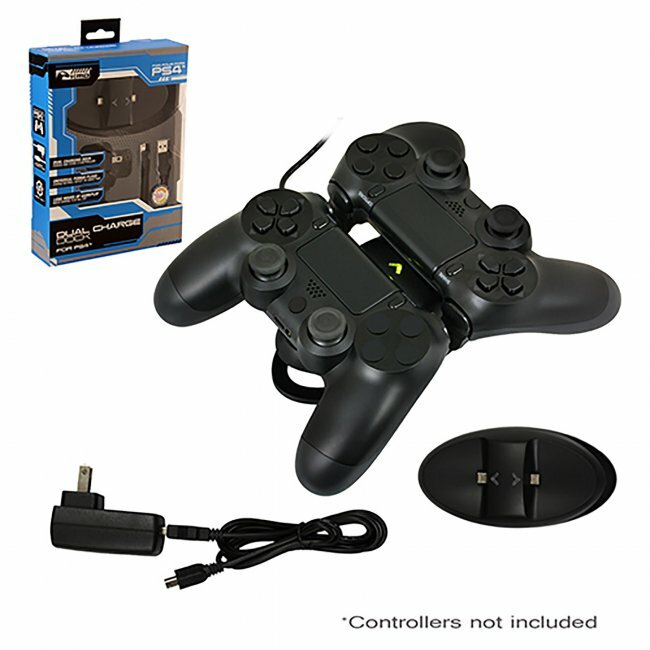 ?4 controllers securely and conveniently stores and charges up to 2 controllers simultaneously during resting periods. The charge dock connects to any standard wall outlet or USB??? port with the included power cable to keep the controllers ready for game play. Keep your controllers safe from drops and scratches while charging!